This is one three surviving pill boxes on the shores of Dundrum Bay. The other two survivors are at edge of the site of the Slieve Donard Hotel and at Minerstown, Tyrella. 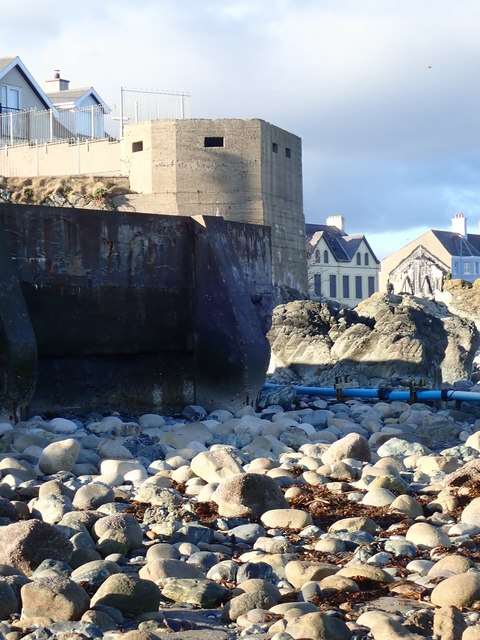 A fourth pill box overlooking the entrance into Dundrum Inner Bay and overlooking Ballykinlar Garrison was blown up by the British Army in the 1970s in case it was used by the IRA to mount a machine gun attack on the Garrison.